Sometimes an album comes along at the right time and the right place to have a stronger impact than it might have had otherwise. This has nothing to do with the quality of the music as it has to do with my own musical tastes at any particular moment. With Disappear, the first full length album by Falcon, the planets aligned and all the pieces of the universe happened to be placed together at the right place to make this an album that I really needed to hear to start off the beginning of summer. The beats are catchy and the vocals and guitars are appropriate for the material. Falcon both evokes moments of genuine emotion and then rocks like their hearts are on fire. I needed an album like this that starts off strong with ‘Say Goodbye’ and moves through 10 songs of pure joy and emotion. Sometimes I’m reminded of the kickass nature of Nick Cave while other times I hear moments of real restraint and vulnerability reminiscent of Sparklehorse. Either way, these guys have a sound that is both familiar and new. This is comforting in an album and shows real promise. These guys aren’t breaking new ground with this album, but they do fit quite nicely alongside the best that indie and alternative rock has to offer. The music industry as a whole is shifting and bands like Falcon are the future of what music in the country strives to be - independent and full of character and personality. People want nothing more than to feel something with the music they listen to and in a song like ‘My Heart is Good,’ vulnerable emotion exudes out of the speakers and creates relevancy for Falcon in a sea of pop and indie wannabe’s. Julian Casablancas - "Little Girl", "Rave On", "Boombox"
Here are a few tunes from The Strokes lead man Julian Casablancas. The first track 'Little Girl' was released last year and is really a pretty cool video and song. The next song "Rave On" is a Buddy Holly cover song which is pretty cool sounding and definitely worth a listen. The last song is "Boombox" which is more or less a joke of a song but still kinda cool to see Julian contribute to the song and break away from that cool guy approach and not be so serious. Danger Mouse & Sparklehorse feat. 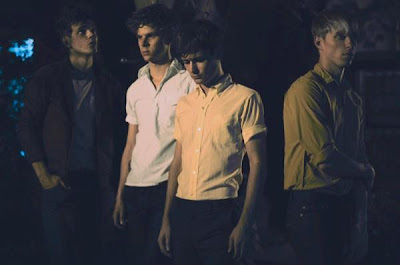 Julian Casablancas - "Little Girl"
Julian Casablancas - "Rave On"
San Cisco are four 18 year old Australian band members that bring some big time indie pop sounds to the music scene. 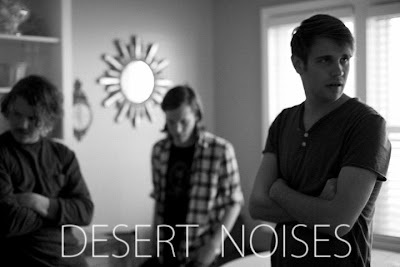 They are a band just barely out of high school and spend their time playing old school Nintendo 64 and skate boarding along with playing killer indie pop songs. 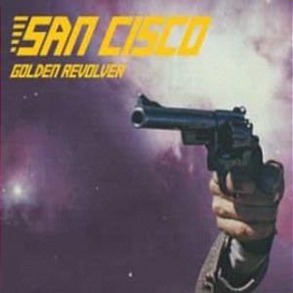 The opening title track 'Golden Revolver' is a giant sounding song. It showcases the band as a mature act and at no time do you question their age. The bands sounds mix well together and in the end a beauty of a song such as 'Golden Revolver' is born, making for a perfect sunny summertime tune. Next song up is 'Girls Do Cry' which allows the bands easy going, laid back nature to ease into their sound. Very chill song which continues to give off those summertime vibes. Song #3 'John's Song' brings another laid back little indie song which the lyrics got stuck in my head "I'm going to see the world, I'm going to see it all". Next up is 'Spangled Streets' which to me was the highlight track. I love how the song starts out with the folky banjo sounds. It has the sense of a very sincere song, and gives some glimpses of what is to come from these guys in the future. San Cisco ends the EP with a cover of fellow Australian band - Tame Impala's 'Solitude Is Bliss'. The cow bells go wild on this cover track, which helps to show the band with a little extra edge. Overall I was rather pleased with this EP and I expect big things from these Australians in the future. "A long time ago in a galaxy far far away three men decided one day that it would be a good idea to start a band called Brother. Many, many years later four frighteningly handsome devils in the desolate, post apocalyptic wasteland of Slough decided to do the same thing. But something called "litigation" got in the way.... Yes. We've had to change our name.. Anyway with this out of the way we do finally feel free. Brother is Dead, Long Live VIVA BROTHER!" The debut album 'Famous First Words' is scheduled to be released via the Geffen Label, and its release date is now August 2nd. The album was produced by Stephen Street (Blur, The Smiths) at Angelic Studios in Northampton and mixed at Miloco in London. It is probably better for the band to get the name change done ahead of time before the album is actually released. Also for all you detectives out there prior to their debut as Brother the band had gone under the names Kill the Arcade and Wolf Am I. During this time the band wrote, recorded and performed music primarily in the pop-punk emo genre. For a band that claim to be so big and tough and to control their own genre 'Gritpop' it is also pretty funny to see only a few years back they were riding the 'Emo' genre's bandwagon. The other band named 'Brother' are an Australian "powerhouse Celtic tribal trio" based in the US who combine "the deep pulse of the didgeridoo, the soaring highs of the bagpipes and tribal percussion". Here is what they had on their homepage "Over the course of this year, your BROTHER has been faced with the onslaught of the power of a major record label and its promotion of a UK band going by the same name. BROTHER did the only thing they could -- took on the record label. And won." To avoid a court battle, the band briefly renamed themselves Brother UK, like the Charlatans UK before them, before deciding to adopt Viva Brother instead. So with all the love/hate going on with these guys here comes their debut album 'Famous First Words' as the Band "VIVA BROTHER". Hide Nothing blazes out of the speakers with the opening track, ‘Lonely Puppy Blues.’ This song is both lyrically silly and serious in tone and sets up the listener for a stellar collection of songs from a band that is full of the right combination of machismo in a music scene that is desperate for variety. And variety is exactly what this album offers. These thirteen tracks cover rock, blues, alternative, punk, and even a bit of reggae. This is also a band that you get a real sense that they have control over the music they produce. When the opening song shifts gears into a reggae jam, it does so with a smooth and natural transition. I especially enjoyed the blues riffs of ‘Demon Shuffle Part 1’ which is slow and deliberate as it glides into the heavier and much crunchier ‘Demon Shuffle Part 2.’ The entire album has a good flow to it as it moves up and down in tempo and continues a solid energy throughout. Only Living Boy come from Northwest New Jersey and has been together in its current incarnation since 2008. They take their name from the Paul Simon song, “Only Living Boy in New York” and released their first self titled album in August of 2008. The band seems to tour constantly at around 200 shows a year over the last two years and 2011 has the potential to be a very big year for this trio. Hide Nothing was recorded and produced by Paul Ritchie, guitarist/song writer for Jersey shore based rock band The Parlor Mob (Road Runner Records). The album can be purchased here. Over the past four years, Wild Beasts have gained a reputation for dividing listeners. Some find the U.K. band’s occasional tendency for overemotive rock/pop theatrics to be grating- I assume this is a fair opinion. Others, however, are enthralled by… well, their occasional tendency for overemotive rock/pop theatrics. One thing is certain- Wild Beasts are a sensational group of musicians with a fine ear for song structure at the sake of catchiness. They are no novelty act. I’m not sure if this misconception is something that bothered the band, but their new album is a definitive response all the same. 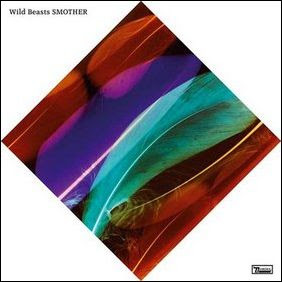 With Smother, Wild Beasts finally come into their own. Shedding what some considered to be pompous histrionics (anyone who doesn’t think Two Dancers rocked though has problems with things that sound good), Hayden Thorpe and company opt for a more restrained approach on Smother. This is evident right from the start on opening track, “Lioner’s Share”, a gentle piano ballad with a faint electronic beat. “Share” winds its way along for several minutes, all the while threatening to explode in traditional Wild Beasts fashion. The anticipation is understandable. After all, the song screams to become a rousing, danceable opener where the band can empty their bag of tricks, leaving the listener in an auditory haze before abruptly starting anew. Yet the song never punches through and instead of frustration, we feel tantalized. The fact that it never does is more rewarding than the non-existent climax itself. By the conclusion of “Bed of Nails”, it becomes clear to the listener that Smother is prominently featuring Thorpe’s trademark vocals as an instrument- even more than usual. This works in the band’s favor, especially when taken into account that the aforementioned tantalization becomes a running theme on Smother. Tunes like “Loop the Loop” work more effectively with Thrope slinking through them with a teasing falsetto. As the album progresses, the tone more so encourages sporadic shoulder-twitching than a dancefloor rockout. This is a tight, intimate album from a band whose previous accomplishments all seemingly referenced flair in some way, shape, or form. The Smother of the title may indeed be referencing what those sounds and expectations have done to the band- but it also may indicate what Wild Beasts would like to do to the sound itself. The chord and drum arrangements still have that seamless Roxy Music-esque glide from prior LPs, but here things sound more calculated and efficient. Additionally, since it’s more of a vocal showcase than ever before, Thorpe sounds appropriately incredible with subtle nods to Robert Smith (“Burning”), Matt Bellamy (“Plaything”), and Morrisey (“Reach a Bit Further”). These similarities are fleeting, however- Smother never feels anything less than an independent product. The album ends with the heartwrenching “End Come Too Soon”- an almost eight minute existential opus that would have felt right at home on The Antlers’ Hospice album. “It’s too soon, too soon, too soon, the end comes too soon,” pleads Thorpe as “Soon” drifts away. Suddenly, Wild Beasts are capable of tragedy. But I’m sure if you asked them, they would insist they always were. 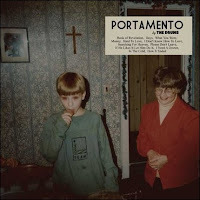 Back on June 23rd The Drums uploaded a little YouTube clip titled "Portamento" which is also front and center on their updated website. It is 2:45 minutes in length and it showcases blurry clips of the band playing to start out then continues showing random black and white videos/pics through out. At one point in the video, chimes of POR TA MEN TO come in. The music to the video is very mysterious and dark, but at the same time it makes you want to hear more. This has to be an indication that The Drums have something up their sleeve for the release of their sophomore album. It is unclear if the name of the album is actually going to be called 'Portamento'? Or if that is the title of an individual song? Rumours are floating around that lead singer Jonathan already stated that "Portamento" was the name of The Drums second album. For sometime now I have been wanting to start up a weekly feature promoting all things related to Utah's Local Music Scene. Well yesterday I was introduced to a local Utah band from Provo called 'Desert Noises'. Their song and video for 'Oak Tree' was an instant hit with me and I thought there would be no better time to get this weekly feature up and running. So here it is for the first time on Fake Plastic Tunes -- 'UTAH ORIGINAL' will welcome the local talent in our great State on a weekly basis. Desert Noises are a 3-piece indie rock band out of Provo, UT. They have a self-titled EP that was released back in 2009 (Produced by fellow Utahan Joshua James) on the Northplatte Records label. They are currently on their US Tour and prepping for the release of their first full length album titled 'Mountain Sea'. I first heard these guys just yesterday when I saw the video for "Oak Tree". I was very impressed and searched all over online trying to dig up as much information on the band as possible. "We, for the last 2 years, have been writing, recording, re-writing, re-recording, and attempting to perfect what we feel will be our greatest piece of art. We took all we had and held back nothing (monetarily and emotionally speaking) in the making of the record." ... "The record is called Mountain Sea and we have it recorded and produced by Joshua James, mixed by Todd Burke (No Doubt, Jack Johnson, Foo Fighters, Ben Harper), and mastered by Rick Fischer (Fleet Foxes, Iron & Wine)." "With a simultaneous release on CD by Northplatte Records, the limited LP will be a work of art in itself. Physical vibrations of sound will be pressed into the tightly-wound spiral grooves on both sides of a stunning white vinyl platter in an art-adorned paperboard sleeve suitable for framing. Also included will be a CD copy". 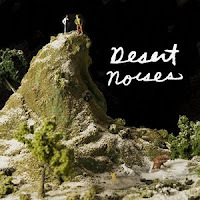 There is a lot to look forward to in the local Utah music scene and a release like 'Mountain Sea' by Desert Noises could really get things going.